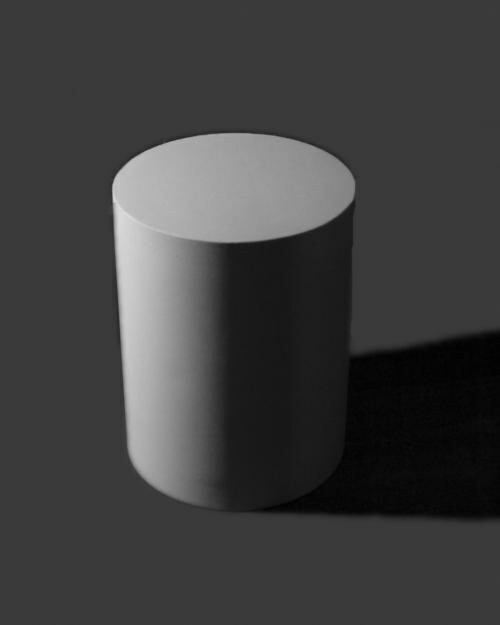 Cylinder — a geometric solid bounded by two parallel planes that intersect the cylindrical surface. This form has been included in many spheres of human activity: in mechanical engineering the cylinder is one of the main parts of a piston engine in the culinary industry tools are cylindrical in shape, even fashion had a hat — cylinder. Neatly draw a vertical axis on the drawing sheet. Follow the drawings with the help of office tools — ruler, pencil, compass, eraser. Perpendicular to the constructed line, draw a horizontal line at the appropriate height of the cylinder a distance, so that the vertical line was divided in half. Mark on the horizontal line point at a distance equal to the width of the cylinder. Their coordinates on the upper and lower lines should match, otherwise build a smooth cylinder will not work. Mark on the vertical line of four dots, top and lower from the horizontal, the segment between these points along the length should match the width of the disclosure of the bases of the cylinder. The points lying on the horizontal axis, draw "brackets". Connect the ends of these brackets with points on the vertical line. The resulting circles are the bases of the cylinder. Drop the perpendiculars from the extreme points of the upper horizontal line to the extreme point of the bottom. The resulting in the drawing the figure is a right cylinder. For a finished drawing, erase all the construction lines with a rubber eraser. The base should be symmetrical relative to each other. Do not use when building pens, markers, markers, as in the case of incorrect calculations will have to start working again. Do all drawings with a pencil so you can make adjustments during the build. This method is the most simplified version of the construction of the cylinder, also this figure is drawn from the box.